Three out-of-the-ordinary shirt forms for an individual style. View A has a front placket closure. Views B and C have a dickey front – B with collar and collar stand and C with standing collar. 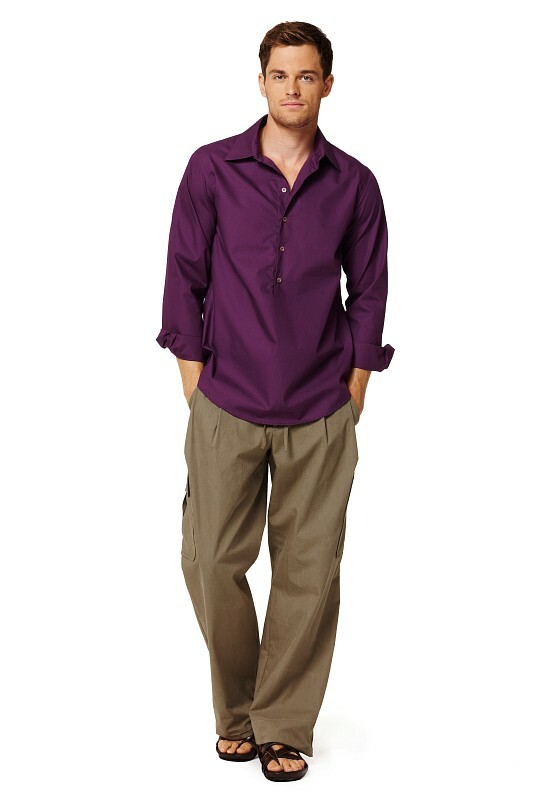 All three have long sleeves and cuffs and a back pleat for casual fit. Sewn in a fashionable color, in light linen for a natural look or in woven stripes or plaids – these shirts are always proof of good fashion taste.